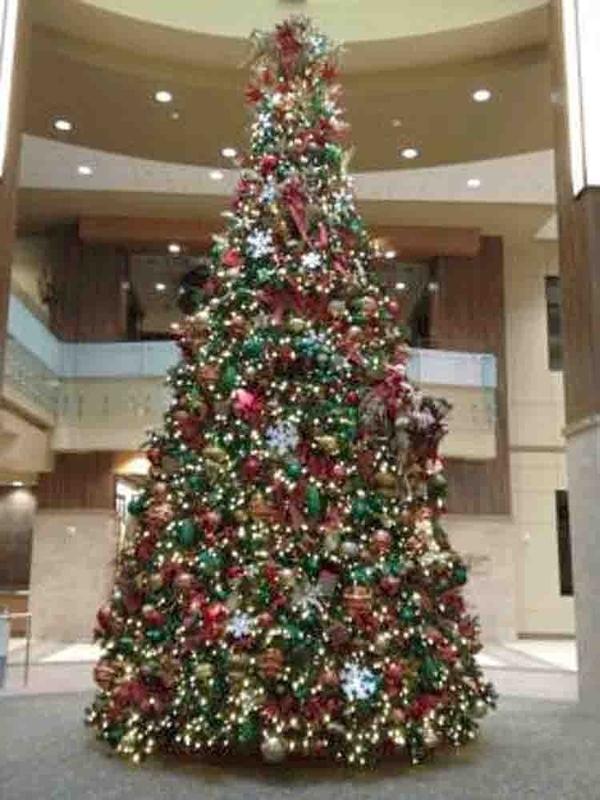 Grand Teton Commercial Christmas Tree. 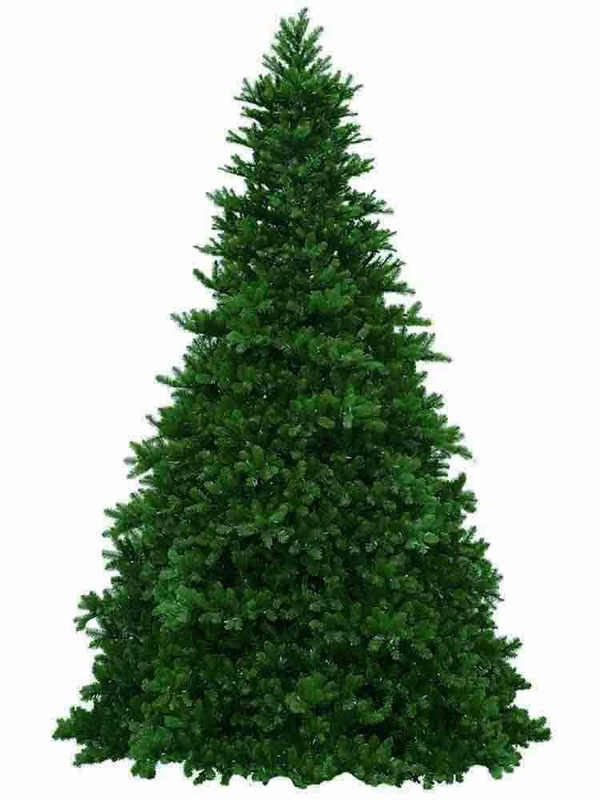 The 12 to 18 foot Grand Teton's are an outdoor or indoor commercial grade artificial Christmas trees that are capable of withstanding the worst elements that Mother Nature can deliver. These trees are constructed with a 1 inch green metal conical frame making a series of stacking levels that connect one on top of the other and then bolted together. The metal frame is Powder Coated for years of life. This tree frame is climbable with two foot tall frame sections. The branches are prewired and attach to the steel frame (See Photo). The branch tips are made with .14 by .14 inch weatherproof and crush resistant poly vinyl branch tips. The branch base wire is an 18 gage oxidized wire. 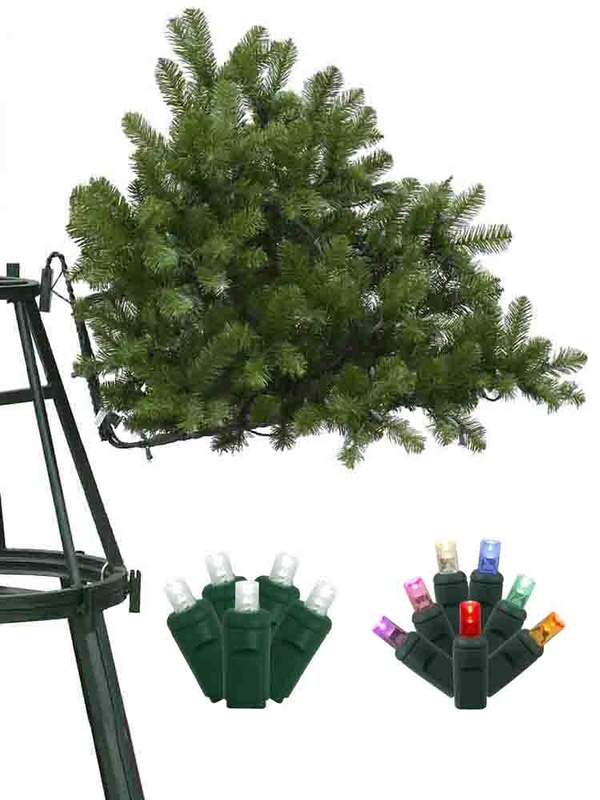 The 24 inch long branches come prewired with electric harnesses so there is no branch wire stringing necessary. A small hinged branch tree is used for the top of the tree. The Grand Teton's are a very good value for this type of commercial tree. Chose from either clear or multi colored 5mm wide angle LED lights (See Photo). Spare light bulbs are included. The base is shipped in a metal crate that has caster wheels for storage.